What do I do with my corrugated cardboard boxes? The same thing that you do (I hope): throw them in the recycle bin. A few companies have realized that corrugated cardboard can be something more than boxes to send via UPS. They're upcycling it into furniture - cardboard furniture. I've seen cardboard furniture before, and it's looked like what you would expect: cheap furniture for dorm rooms. 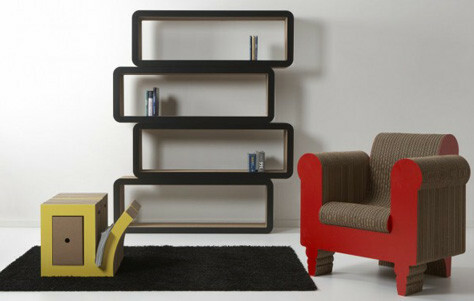 Kubedesign, an Italian company, is making stylish furniture with upholstery and cheerful colors. It's modern with a dash of fun. I love the way they use the cell shapes of the corrugation as design elements. The designer is Roberto Giamucci who has a wonderful website. 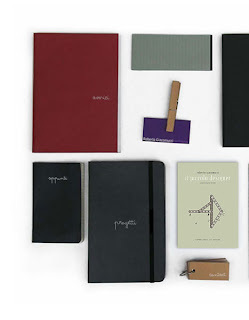 It's in Italian, but you don't have to read the language to enjoy the web design, which uses artist's sketchbooks. Some of Kubedesign's furniture does look like assemble-it-yourself (as you do) cardboard boxes - with a touch style, of course. 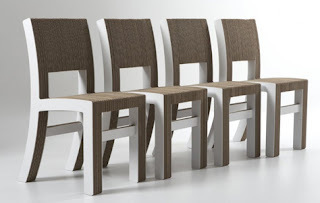 But why look at those when these dining chairs are more fun. Finally, if you want to try your hand at making cardboard furniture, Eric Guiomar will show you how. You can watch him making a cabinet from cardboard and get the plans on YouTube. This fun piece with its spirals and curves is anything but a cardboard box. Its really so nice and looks awesome. Thanks for sharing your views with us. I am so glad that I visit this post. Eagerly waiting for more articles. It looks awesome..!!! Interesting topic.. Your post is so informative and useful. I enjoyed it a lot. Thanks for sharing this post with us. I'm glad that you enjoyed the post. It is amazing what they're making furniture out of these days. I do need to get back to regularly blogging. It's just that sometimes life gets in the way of writing!